Help out! Meet people! Get stuff! 1-5 hours of volunteering earns you $1/hour off next year's registration. Hours 6-10 are rewarded at $2/hour, and 11 hours up at $3/hour (a few “choice” jobs may be counted as additional hours). This results in a free membership at 20 hours (or fewer). In addition, volunteers will receive a special thank you gift from Chessie! 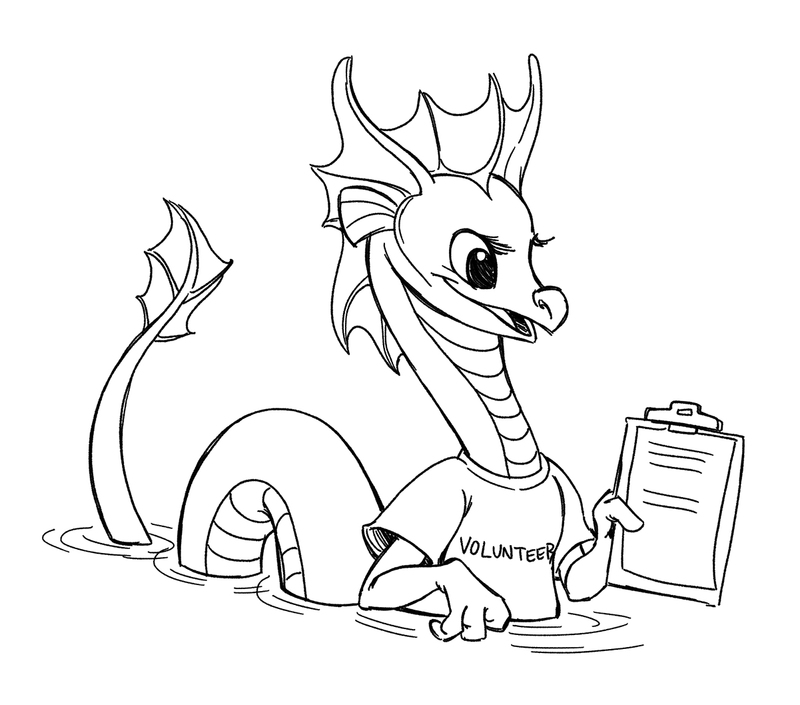 To help us out please contact volunteer AT chessiecon DOT org. Ensure that the equipment is handled properly, kept clean, and accounted for. Assist in setting up different consoles and games throughout the day. Maintain a friendly and safe environment, which may include asking troublemakers to leave. Make videogaming staff aware of technical difficulties and assist in solving them if possible. Occasionally assist with passing out snacks, party favors, or prizes. Help with cleanup and inventory at the end of each day. Help with Thursday evening/Friday morning pre-con setup and Sunday evening post-con tear-down. These jobs do not have to occupy the entire weekend. With more people shifts can be more easily divvied up and we can all see more of the con (and maybe play a few games ourselves ;) ). Questions will be happily answered by Saria.